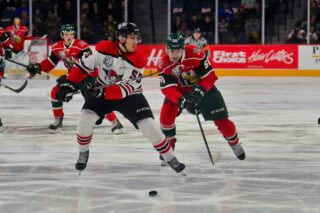 The Halifax Mooseheads will have two players vying for a roster spot with Canada World Junior team this month as Jared McIsaac and Raphael Lavoie were named to Canada’s selection camp roster today. Selection camp runs December 11-14 in Victoria, British Columbia and will include a three-game series against a team of U Sports all-stars. Following the four-day camp, Hockey Canada will announce the 22-player roster that will represent Canada during the World Junior Championship in Vancouver December 26-January 5 where Canada will attempt to win back-to-back goal medals. The two Mooseheads stars are no strangers to the Hockey Canada program with both having represented their country on several occasions. Lavoie had three assists in July’s World Junior Summer Showcase after being named as a late injury replacement addition. McIsaac contributed one goal and one assist in the tournament. 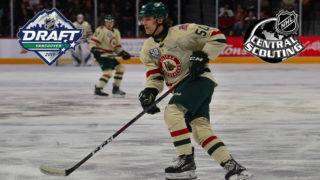 Both players also suited up for Canada in April’s IIHF U18 World Championship in Russia where Lavoie scored five goals and McIsaac scored one goal and one assist en route to being named one of Canada’s Top three players at the event. 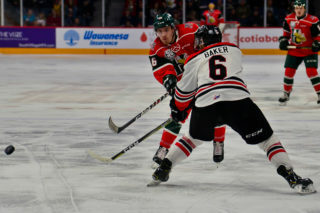 McIsaac was selected second overall by the Halifax Mooseheads in the 2016 QMJHL Entry Draft and has scored 100 points in 144 career games. The Truro, NS native was a second round pick (36th overall) by the Detroit Red Wings in last June’s NHL Entry Draft. 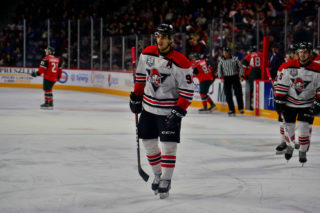 Lavoie was selected in the second round (29th overall) by the Halifax Mooseheads in the 2016 QMJHL Entry Draft. He has scored 101 points in 126 career games and is ranked as an ‘A’ prospect by NHL Central Scouting for the 2019 NHL Entry Draft. 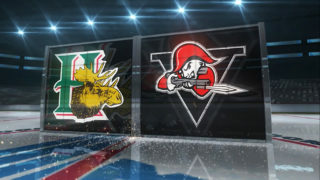 The Mooseheads players will leave for Victoria, B.C. on Monday, December 10th following a trio of Mooseheads games this weekend. Halifax (19-7-1-0) welcomes Saint John (3-22-2-1) this Friday night at 7pm at Scotiabank Centre. 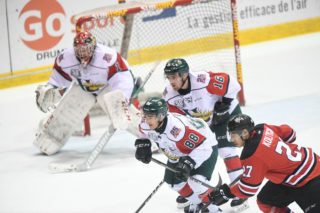 The Mooseheads will also play at home on Saturday night at 7pm vs Acadie-Bathurst (5-22-0-1). Tickets are on sale now at the Ticket Atlantic Box Office, select Superstore Outlets, TicketAtlantic.com, the Official Mooseheads Shop in Scotia Square or charge by phone 902-451-1221. The Herd will wrap up the weekend with a road game Sunday afternoon at 3pm in Charlottetown.